I am so excited that the FCC will be releasing more spectrum for the rest of us. The Citizens Broadband Radio Service, (CBRS) here in the USA. I am not talking about the Billions of dollars that the US carriers need to spend to get LTE spectrum. I am talking about the spectrum that you can get just but filing and spending slightly less than a billion dollars. That’s right, the FCC will soon be releasing 150 MHz of 3.5GHz spectrum in the 3550 to 3700 MHz range. Oh boy, more spectrum that we can put LTE on, I mean you, the people that need it the most to create smaller wireless networks and possibly a carrier neutral system where they could roam onto. It would be LTE so the problems roaming from Wi-Fi to LTE would be resolved, can you believe it? I know that some OEMs, like Ruckus, Nokia, and ip.access are pretty excited to sell some product in this area. I want to deploy in this area. Now all we need are UE devices with the spectrum in it. I am not too worried because that small company out of San Diego, Ca, is supporting it. You may know them as Qualcomm, I know them as one of my former employers. Not to mention Intel and Google love it! I see something big coming together. If the cable companies were smart, they would jump on the bandwagon now! There is also Federated Wireless who is planning to release something for this band. However, let me explain some more detail. It’s in the 3550 to 3700MHz range. It is called Authorized Shared Access, (ASA) here in the USA and in Europe they are doing something similar called Licensed Shared Access, (LSA). It is supported by Ruckus (recently bought by Brocade), ip.access, Google, Nokia, Qualcomm, and Intel. Ruckus and ip.access already have products available. It looks like a good model for neutral host solutions indoors. Spectrum would be openly available with federal government getting first dibs and authorized access to the spectrum first. Remember that the government has priority so if they use it then your listen before talk could shut you down. Tier 1 = Incumbents – the government who is already using it. Military radar on ships and ground. Fixed earth station receivers, and a few that already have broadband licenses. The broadband licensed people will be transitioned to Tier 2 and 3 in about 5 years. 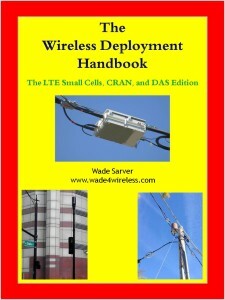 Deploy with the Wireless Deployment Handbook eBook that covers professional carrier end to end deployment of LTE small cells, CRAN, and DAS to show you the proper way to plan for deployment then execute without the mistakes. So what is going on now? The FCC is working with a group to get input on SAS and ESC. What is that? Read below. SAS = Spectrum Access System, they are looking at administrators and how it will be handled. SAS interface is still being worked out. ESC = Environmental Sensing Capabilities, looking for operator applications. YouTube at https://youtu.be/Ypd9-IWg5hM which gives you an idea of what is going on. It is 68 minutes long, just a heads up. Meeting was on February 16th. 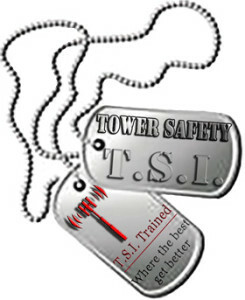 Purpose of the meeting was to review how to move ahead, even though it seems the standards are not finished. Hosted by the Wireless Telecommunication Bureau (WTB) and Office of Engineering and Technology (OET) of the FCC. At the meeting were players from Verizon, AT&T, Amdocs, Federated Wireless, CTIA, Google, Wireless Innovation Forum, Keybridge, ASRC Federal, Comsearch, and a few more. If Nokia was there, I didn’t hear them. The FCC is requesting input, https://apps.fcc.gov/edocs_public/attachmatch/DA-16-77A1.pdf that will help them how to move ahead with SAS and ESC. Responses/proposals are due April 15th. This may help decide who will be the SAS administrator and how it will be monitored. It will also help us understand how it will be coordinated and monitored. Remember that this has to be fair and balanced. (can it be with Google, AT&T, Verizon, and CTIA there, not sure that will happen. So could this be the neutral host system that we’ve been waiting for? It’s licensed and we won’t have to worry about interference in the unlicensed band. Of course, there is the worry of government ships coming close to shore and the listen before talk causing problems. If you build a system in this band then you, in theory, would not need to be anchored to a licensed band. You could build your own system on this, once there are devices for this band. I really hope this succeeds, and I will tell you why. If we can get this going and growing then it should open up the doors to newer spectrum, more spectrum, then people like me could build a system that enterprise users could use. A way for the carriers to roam into a new area without licensed free, but with LTE in a lightly licensed solution that could let the device stay in LTE mode, just a different band. We may even be able to aggregate it someday. Think of how many small cells that we could sell in this band! How much more we could expand systems? The WISPs and cable companies could build out the system in an area quickly. All we need are devices. This is something that they could really offer to the carriers for offloading, much better than Wi-Fi in my opinion because it would be lightly licensed. TLBB: Internet movies and more on this box! Click here for link! The Little Black Box for Streaming Media. Unfortunately, it may all rely on the carriers asking the device makers to add it to the devices. I believe that Qualcomm and Intel will make sure the chips have it and it gets in devices, but they will need the carriers buy in. We all know that the carriers are bullies when it comes to things like this. So if they say no, then what? I see this as another stepping stone for 5G and densification. It will be another tool in the toolbox that we can use to improve coverage in a very clean way. If you want to learn more, the Wireless Innovation Forum has a PDF slide deck at http://www.wirelessinnovation.org/assets/ssc%20webinar%2017%20june.pdf and FCC definitions at http://www.wirelessinnovation.org/fcc-definitions if you want to learn more. I am still trying to figure all of this out. I hope this band becomes the indoor standard or at least plays an integral part in the broadband ecosystem because it should mean more business for most of us. I hope it’s not another carrier dominated band that once again makes it harder for the smaller providers break into the market. I get it, Wi-Fi has potential, but wouldn’t it be nice if we could spend some money on spectrum to avoid 5 other hotspots stepping on us? Will the FCC allow it? Probably not if the largest carriers have their ears, which they seem to most of the time. Whether you love or hate T-Mobile, they seem to keep AT&T and Verizon Wireless in line. I don’t see T-Mobile making a play here, which is strange because they could use the spectrum. Not sure why they are conspicuously absent. What are you thinking? Let me know and I’ll sign you up for my newsletters.